Selecting a suit is easy. It’s adding all the accessories that can make any man nervous about dressing up and looking their best. So, let’s break the ice and get personal about men’s ties. This accessory is almost always part of a formal outfit, and there are a lot of options. The goal is choosing a cut and style that complements both his look and personality. First off, let’s tackle some tie basics. 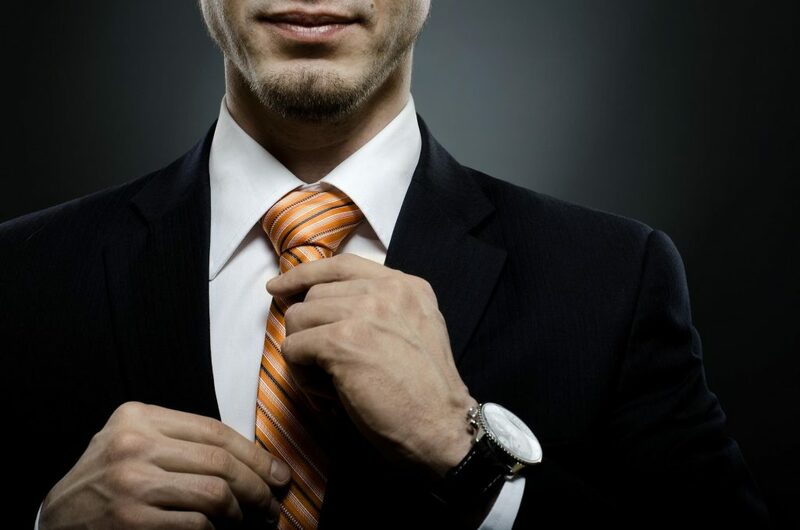 There are three types of ties that are most popular in the United States. Windsor Tie: This is the long necktie that is most common in everyday business wear. The fabric that flows down the front of the dress shirt, just over the buttons, can be narrow or wide and stops somewhere between mid-belly and the top of the pants. This tie is generally tied with, you guessed it, a Windsor knot. 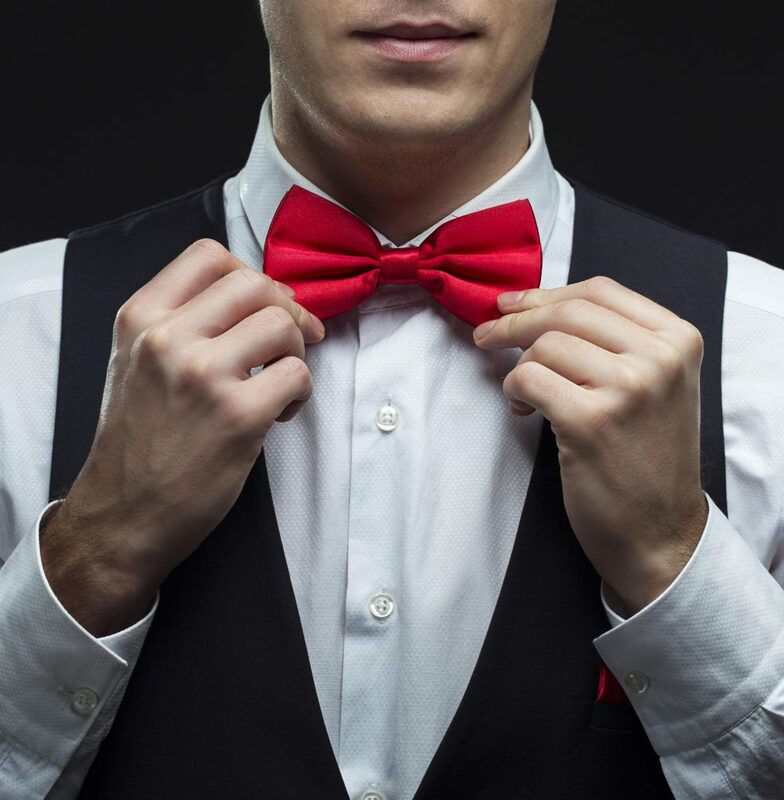 Bow Tie: These are the cute, eclectic barbershop quartet bow-shaped accessory that cinch the top of a collared shirt. They tend to give off a modern, youthful, hipster vibe and are gaining popularity for special occasions including weddings and proms. Western Tie: Finally, turn on an old John Wayne movie, and you’ll see plenty of western ties on the silver screen. 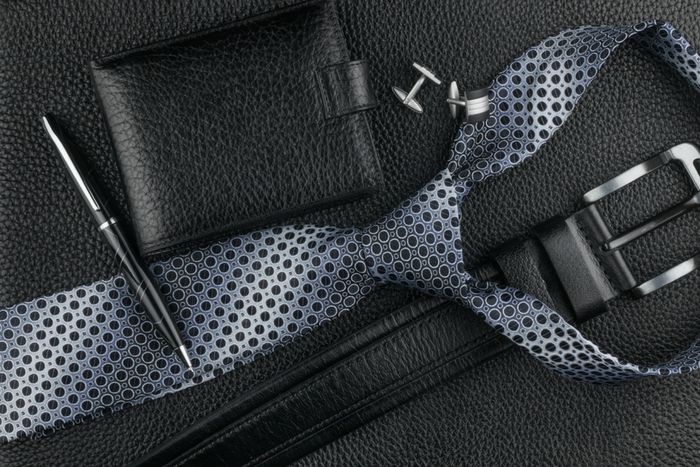 These ties come in two varieties: the wide black string tie and the rope-like bolo, often made from leather cord. Both styles cinch at the neck and reach the upper to mid-chest when tied. As you contemplate how to match a suit and tie, think about the formality of the event. Would a quirky or casual style seem appropriate? Or, is a strict dress code in effect? Next, does the suit need to coordinate with others (think bridal party attendants or matching family members for a family portrait), or can it show off a unique style? Let’s talk about color coordinating. Matching similar hues is fine, but exploring bold color combos can make your outfit really pop. The key is matching a tie to the suit, not the other way around. It’s easy to pick out a fun tie, then hope it works with future suits. Instead, plan the suit style and color, then polish it off with accessories to enhance the overall look. When choosing a patterned tie, pick one that incorporates the color of the suit jacket and dress shirt. It can be subtle or obvious to help the outfit look coordinated. For example, a slate blue suit and white shirt with a striped tie that’s yellow, slate blue and white would look fresh for spring or summer. Love the look of solid-colored ties? Perfect! They’re a great way to add a pop of color to an everyday suit. Choose ties that complement your skin tone and dress shirt. Blues, purples, and greens are almost fail-proof. Coordinating reds, oranges and yellows can be tougher though; especially for men with red hair, fair complexions or pale skin. This is why classic striped, dotted or paisley patterned ties are so popular — they look good on everyone and coordinate with colorful shirts. Finally, we can’t ignore texture. The simple idea here is to not mix more than two or three textures in any outfit. So, that cotton shirt, cotton bow tie, and tweed suit are fine together. But start mixing a linen jacket, tweed pants, cotton shirt and silk tie and you’ll look like you’re playing dress-up in your father’s closet. The goal is to put together one cohesive outfit that is perfect for the occasion and makes you feel confident. Need more ideas? 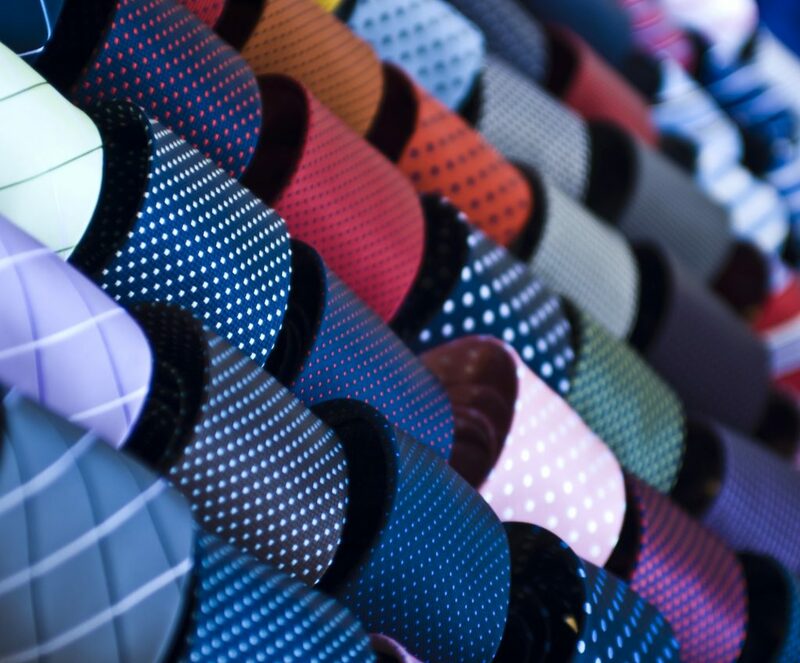 Browse the tie selection at Jim’s Formal Wear to get started.